Bromelain | ApresFlex | Hyaluronic Acid and so much more! Joint Vibrance is intended for regular daily use in maintenance of healthy joint function. No other formula is as complete. It take more than just one ingredient to repair joints. Some only rehydrate; others only support connective tissue. 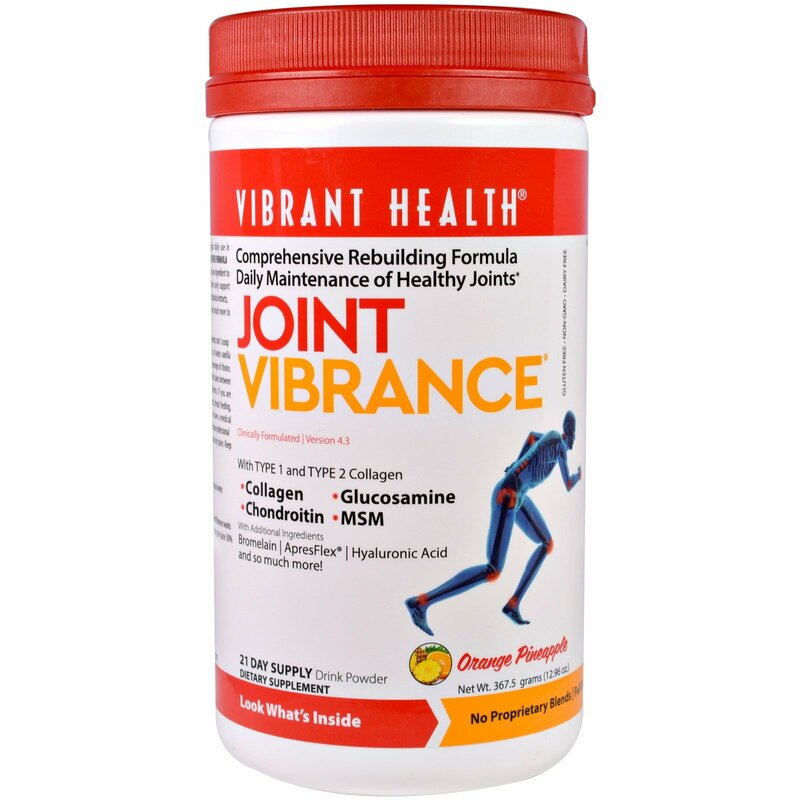 Joint vibrance combines botanical extracts, specific minerals, powerful nutrients and much more to restore joint function and structure. 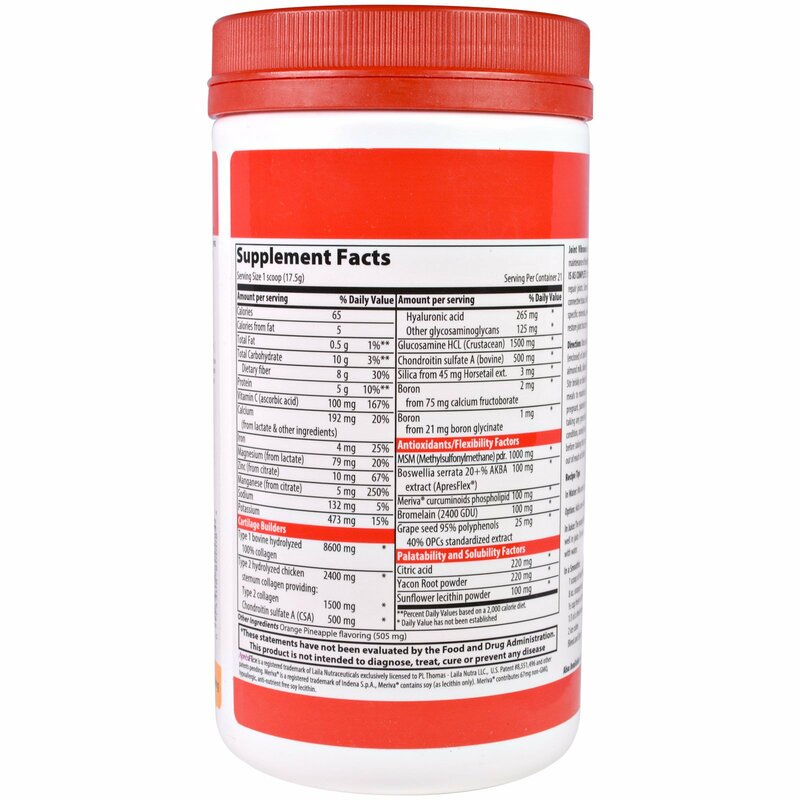 Once a day as dietary supplement, mix 1 scoop (enclosed) of Joint Vibrance into 4 to 8 oz. of water, vanilla almond milk, diluted fruit juice or your beverage of choice. Stir briskly or blend in a shaker bottle. Best taken between meals to maximize absorption of nutrients. In Water: Mix one scoop into 8 ounces of cool water. In Juice: The orange/pineapple flavor of Joint Vibrance works in well in juice. To reduce calories, try diluting the juice 50% with water. Contains soy (as lecithin only). Meriva contributes 67 non-GMO, hypoallergic, anti-nutrient free soy lecithin. If you are pregnant, planning to become pregnant, breast feeding, taking any prescription medication or have a medical condition, consult your physician or healthcare professional before taking this product. Store in a cool dry place. Keep out of reach of children.